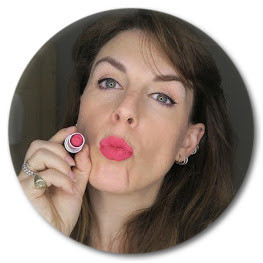 THE PRIZE: Embryolisse Rich Balm is one of my top three face mositurisers - it's fantastic for dry skin and problem patches and got me through pregnancy with out too many horrible lumps and red spots. 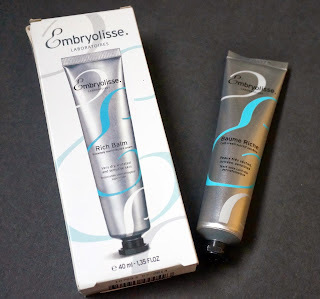 I really love Embryolisse - their moisturisers have such a lovely consistency, and I'd Love to win this, for my friend Xziena who is pregnant and has really dry skin at the moment ! Sounds lovely - just what we need in the winter for dry/ chapped skin. Finally! Someone saying they've found a product that stops those big red lumps - my face is like boil city at the mo and I'm only 20weeks in to my pregnancy!! #help! I'd love to win this - currently I use Palmers Coco Butter Concentrated Stretch-mark Cream...yes, sounds a little strange to use it on your face but consider all the skin-healthy ingredients in it and how thick it is...but I'd like a moisturiser that works well in winter months and that's actually meant to be used on the face! I would be very excited to win. I haven't gotten to try these products before and am a big beauty/skin care fan. Good luck everyone. I have horribly dry skin and it cracks and bleeds. I have awful oily skin that bothers me with horrid dry patches. I hate anything heavy has to be light and waste so much money buying the wrong stuff. My poor dry Winter skin needs this! I would love to win this. I haven't tried these products before. I have very dry skin at the moment and need a good moisturiser. Really hoping I win something before the end of advent!!! A good moisturiser is essential this time of year. This looks great. I'd really like to try it! Moisturiser, a much neede item in Winter.